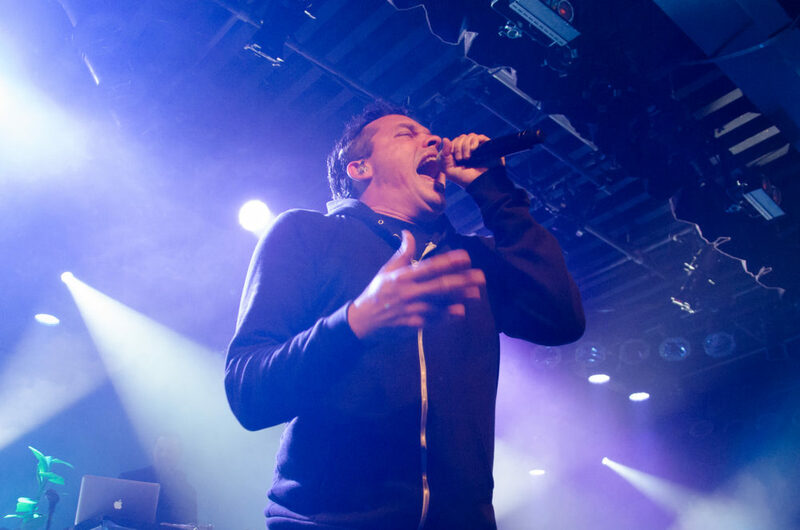 After twenty-seven years, eight studio albums, and countless collaborations, Atmosphere is still touring and selling out venues. The Commodore Ballroom in Vancouver hosted the group which consisted of lead rapper, Slug, with DJ support from longtime member, Ant. Atmosphere found their unique sound in the golden age of Hip-hop and decades later, Slug still manages to keep the 90’s dream alive. He shows no signs of slowing down anytime soon which is insane due to the amount of touring the group goes through. After the Vancouver show, Atmosphere will be heading south through Portland and down into California. As for their Vancouver show, Slug gave the crowd a genuine Atmosphere experience with a favorable setlist. After just putting out their eighth studio album, ‘Fishing Blues’, in August, the group’s setlist was current, although it managed to bounce back for the timeless classics. Saving these for later in the set, Slug performed ‘Sunshine’ and ‘Yesterday’ to perfection with a massive crowd reaction. Sure enough, Slug proved his veteran status in the world of lyrical wizards by boldly letting flow extend after the beat finished. These blissful rants sounded like spoken word poetry, especially when paired with his real life-inspired lyrics. You could tell after all the years touring, he truly appreciates his fans and uses that energy to put on amazing performances. Check out the photo gallery below for more shots from this unforgettable night.